Travel isn’t just for fun, it can also be a great way to learn something new. 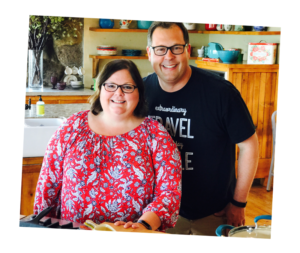 Our friends, the Bissons, took this to heart when they headed out on a road trip to Minnesota and Wisconsin from their home in Florida to see family. 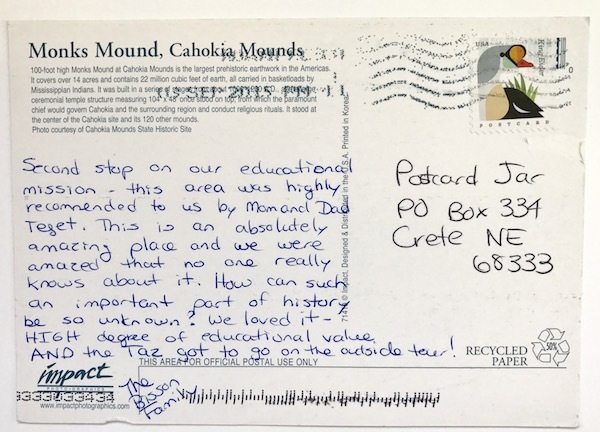 They decided that their two sons should learn a few things on the trip so they made some educational stops along the way. The first such stop on the trip was Mammoth Cave National Park. 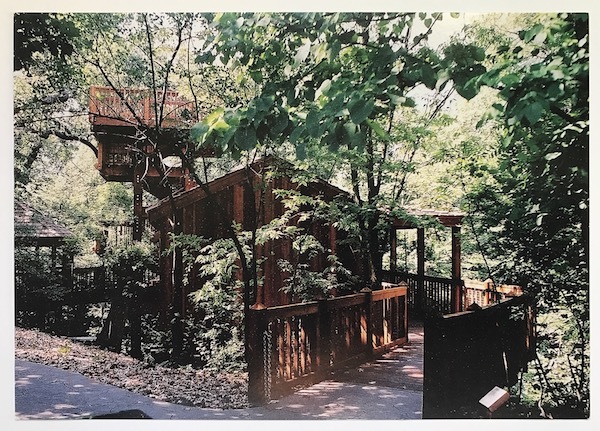 They stopped at this Kentucky landmark and set off on the “Domes and Dripstone” cave tour. 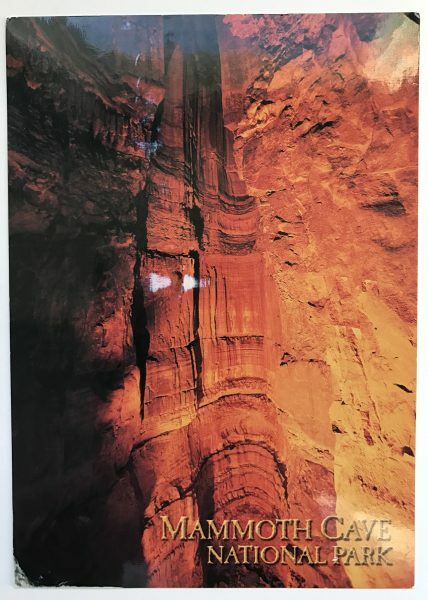 The two-hour hike went through only a small portion of the cave system, which is the world’s longest! 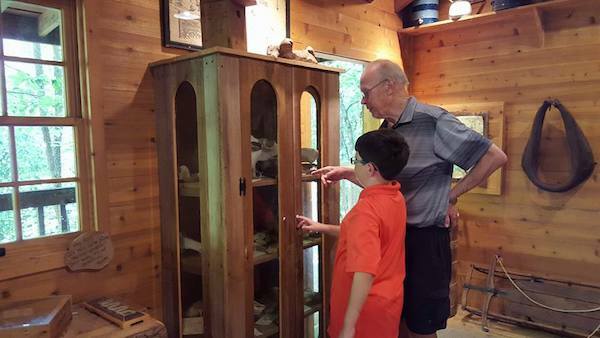 Still, what a great experience for their sons to learn firsthand about geology and cave ecology. Their second stop was Cahokia Mounds State Historic Site located just east of St. Louis in Illinois. 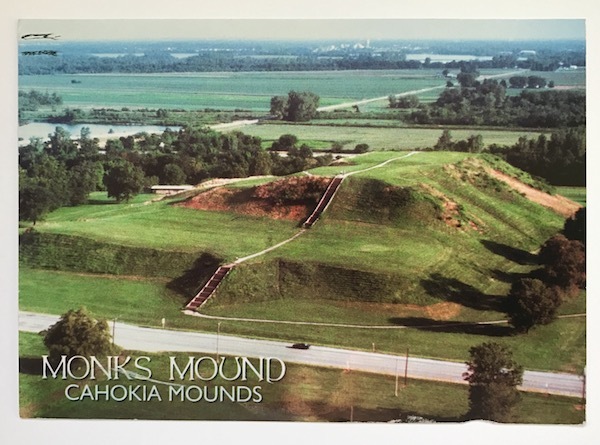 There, standing over 100 feet high, is Monk’s Mound, the largest earthwork pyramid in the Americas. Cahokia Mounds is an amazing place, and sadly few people know about it. I learned about it in a college class, and went to visit with my parents, who later recommended this stop to the Bissons. 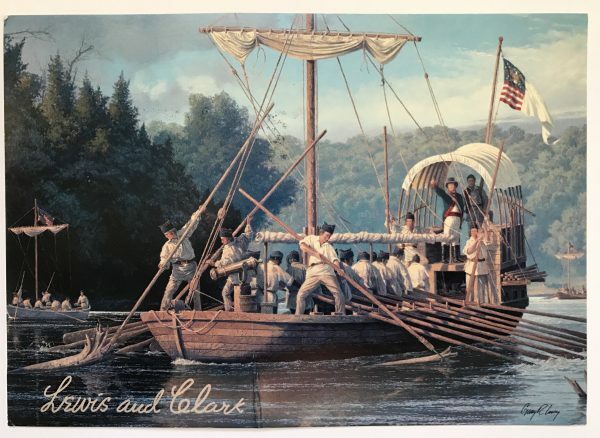 If you’re ever in the area, it is definitely worth a visit–you’ll learn, like the Bisson boys, about the archaeology of North America and see firsthand just how advanced a society there was in North America before Columbus ever set sail. 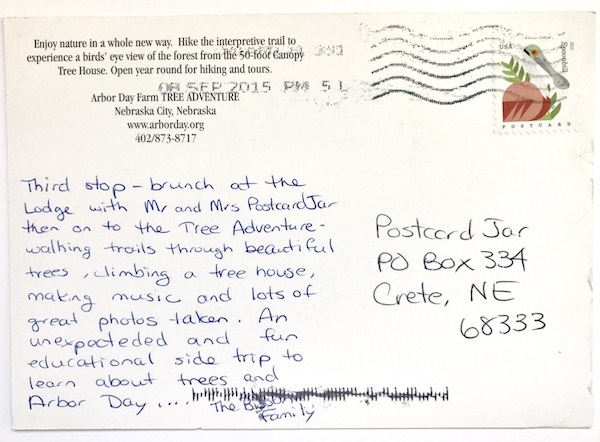 We joined them for brunch and then their fun trek through the “Tree Adventure,” where they walked trails through the old growth forest, climbed a tree house, and even made music using wooden instruments all while learning about the important role trees play on the Earth. 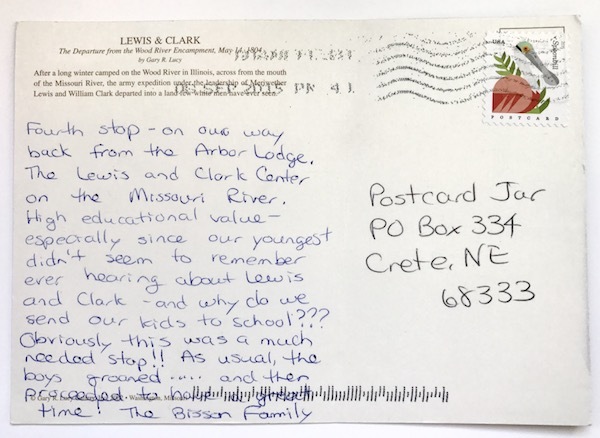 While in Nebraska City, they also stopped at the Lewis and Clark Missouri River Visitor’s Center located along the Missouri River. They were very happy they made this stop as their youngest didn’t remember having learned about Lewis and Clark in school. They reported that at first their sons groaned about this stop, but then had a great time learning about a key part of American history once inside. From Nebraska, the Bissons headed off to see family in Minnesota and Wisconsin. 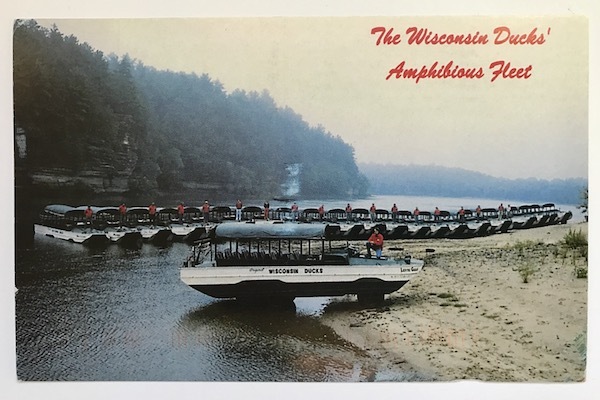 Remembering that no trip is complete without a little fun, they stopped on the way home in the Wisconsin Dells where they took a ride on the Wisconsin Ducks. This amphibious ride took them on a one-hour land and water tour where they could take in all the views. They also stopped at three different go-kart tracks where the boys’ love of NASCAR was able to shine through while the boys gained some memories that will last a lifetime. 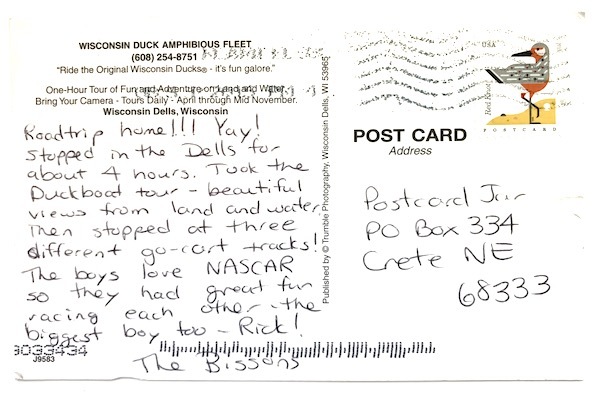 It looks like the Bissons had a wonderful trip. What’s great is that they had fun while helping their children learn a little something along the way. 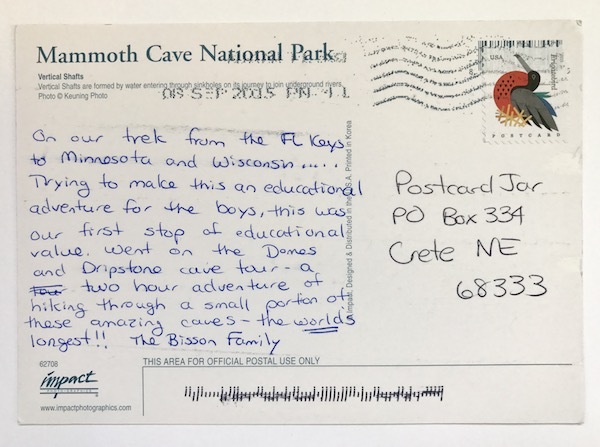 Just think how much more real the school lessons on Lewis and Clark or on cave ecology will be when those boys have the memories of having been in those locations and seeing, feeling, and touching the real things along the way. 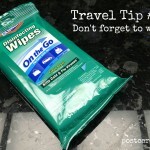 Have you made educational stops like these while on vacation? Let us know in the comments section below. We’d love to hear from you. This was, indeed, a memorable trip for Bisson’s! 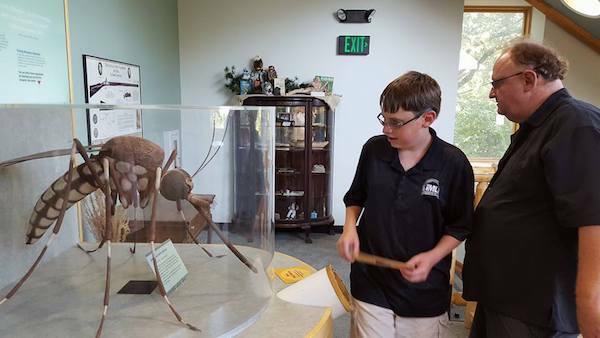 And they have continued with educational trips for the boys. And the boys like this way of learning new information!!! !